Winner of a silver award at the 2018 British Cheese Awards. This special, multi award-winning Perl Las (or ‘blue pearl’) cheese is the result of a happy accident, when a handful of mature Caerffili became naturally blue. 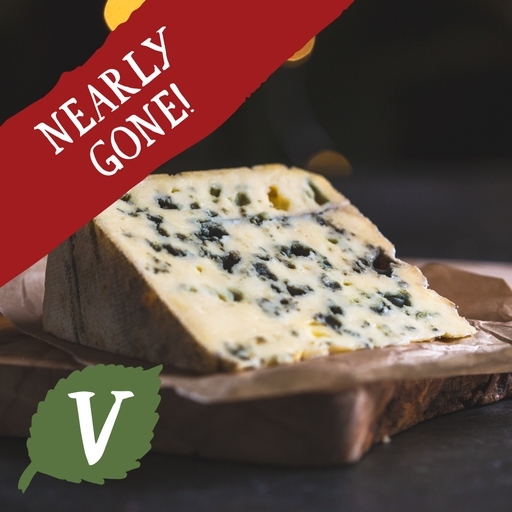 Intrigued by the result, cheesemakers Carwyn and Susanna set out to recapture the flavour, and Perl Las Blue was born. Roundly creamy, with lingering blue undertones, it’s quite unlike other blues. Keep in the fridge for up to 7 days, or freeze on the day of delivery. Serve at room temperature. Caws Cenarth is a family business which was started in 1987 by Gwynfor and Thelma Adams, drawing on a six generation tradition of cheesemaking. These days Gwynfor and Thelma take a back seat, allowing Carwyn to run the business and indulge his obsession for making new organic cheeses. Pasteurised cows milk, sea salt*, vegetarian rennet, culture, penicillium roqueforti.